Not only does this product repel insects, but will actually kill ticks, mosquitoes, chiggers, mites and more than 55 other kinds of insects. 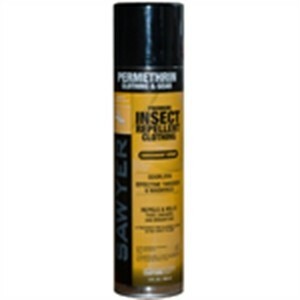 Sawyer® Permethrin repellent is for use on your clothing, tents and other gear. Permethrin is odorless when dry. During the drying process it tightly bonds with the fibers of the treated garment. It will not stain or damage clothing, fabrics, plastics, finished surfaces, or any of your outdoor gear. 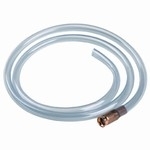 Aerosol applications can last up to six weeks and through several washings.